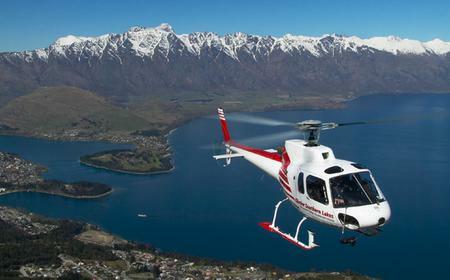 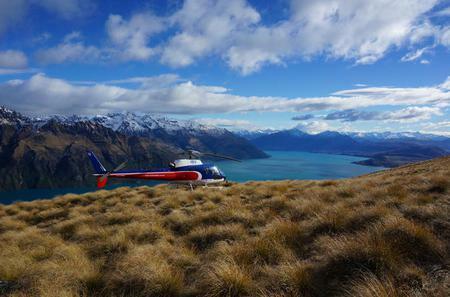 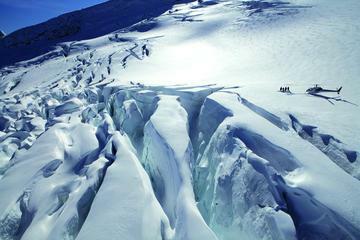 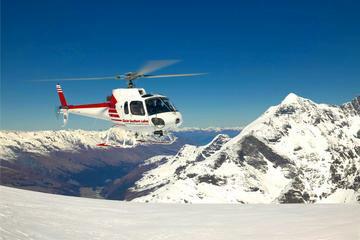 ... Get panoramic aerial views the awe-inspiring Skippers Canyon and Queenstown Basin, and make a dramatic landing on snow. 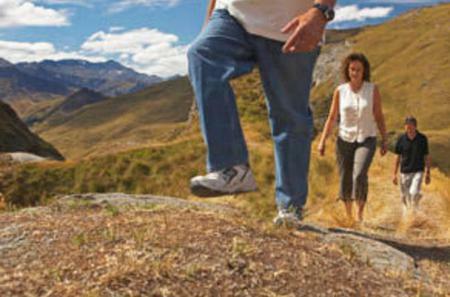 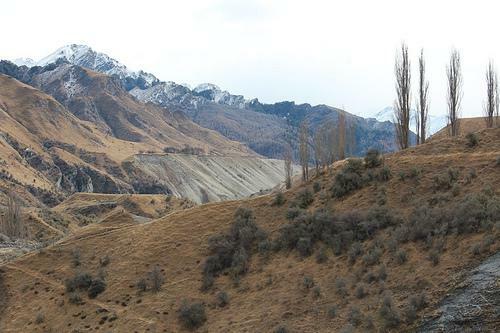 ...now before heading back towards Queenstown past hidden alpine lakes and the rich gold mining history of Skippers Canyon. 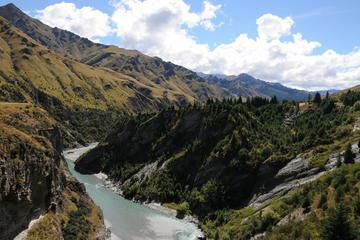 ...n Skippers Canyon forged out by gold miners during the big Queenstown gold rush before rafting down the Shotover River. 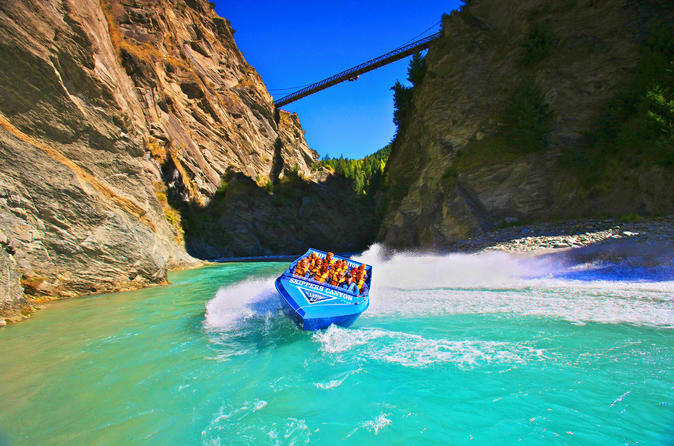 Carved out by glaciers and the Shotover River, the Skippers Canyon is a breathtaking gorge with steep drops of several hundred metres. 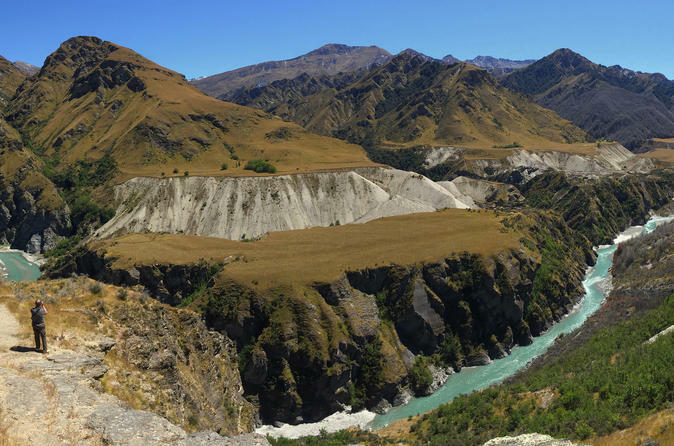 Carved out by glaciers and the Shotover River, the Skippers Canyon is a breathtaking gorge with steep drops of several hundred metres. 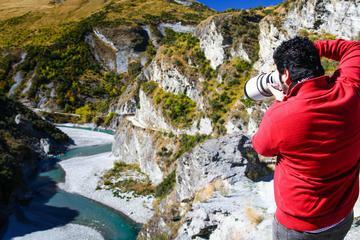 The narrow, winding road that runs along the 22 kilometre long canyon was laid out in the late 19th century for the rush of gold-seekers who skimmed the Shotover River. 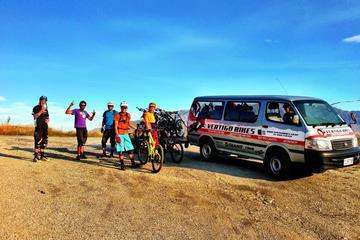 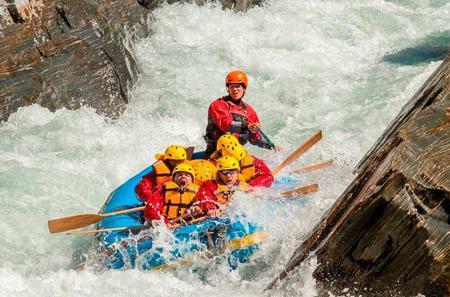 The route is so treacherous that insurance for rental cars is not available here. 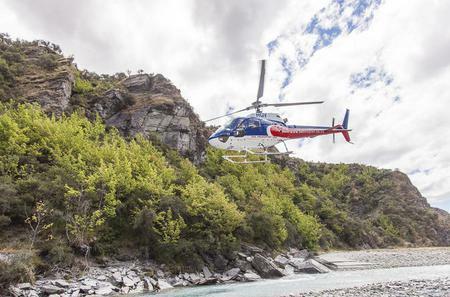 Some travelers find the scenic views over the gorge worth the risk. 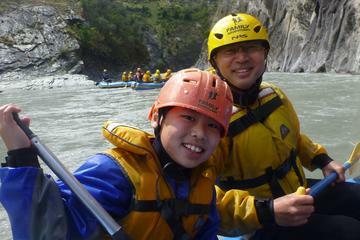 The rapids through the canyon are popular rafting and jetboating sites.